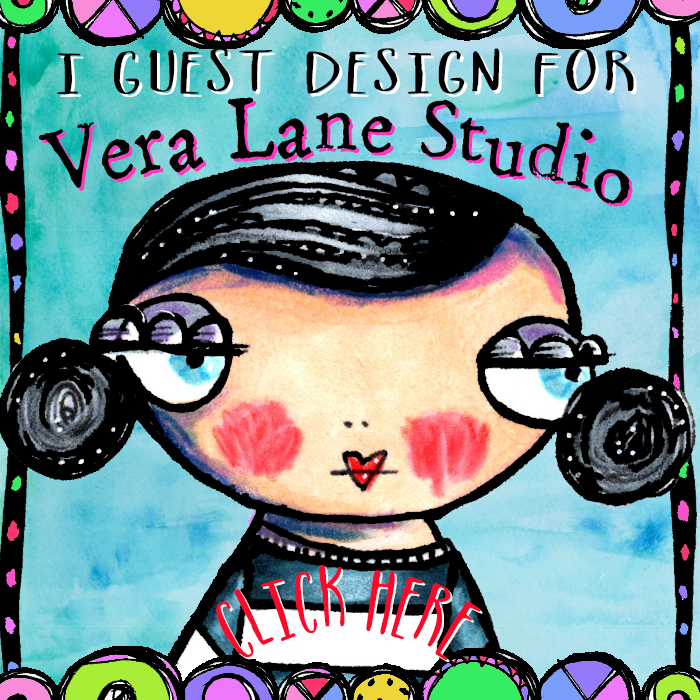 Thanks for stopping by Vera Lane Studio! Check the new tab, "Free Digi Stamp" for this month's release, "Spring Gal." 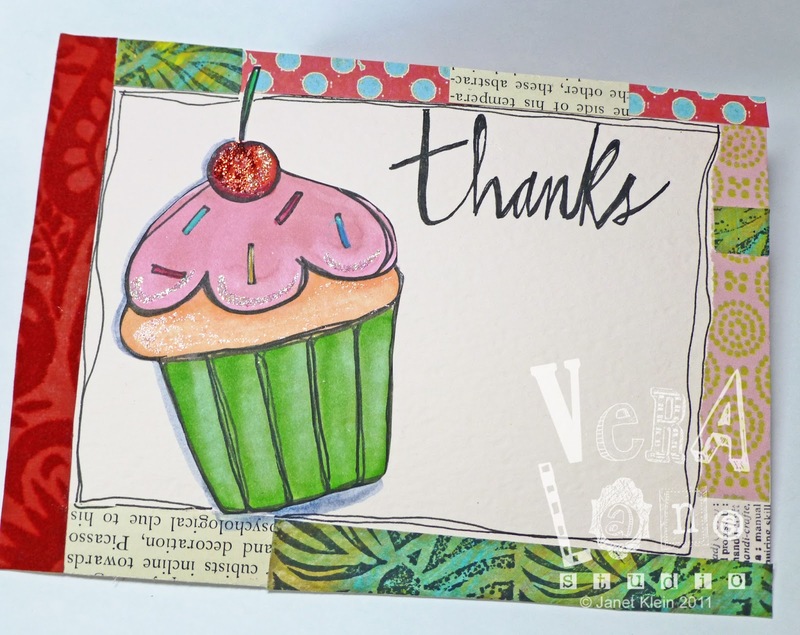 She's a simple yet versatile stamp that you may copy for free. a perfect image for gift tags, greetings, invites, a thank you, or a simple hello card. 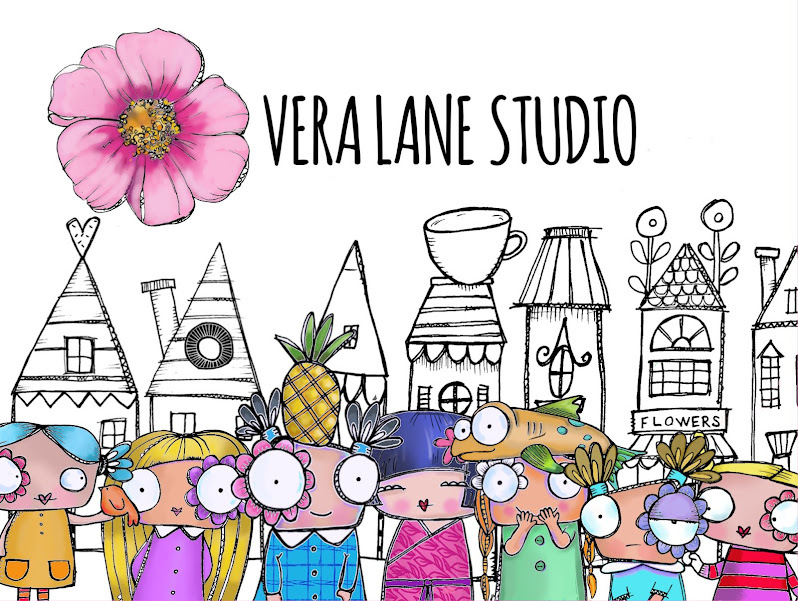 All Vera Lane Studio images are hand drawn and 300-350 resolution. A single sheet of cardstock scored and folded 1" from the bottom makes a functional document folder. 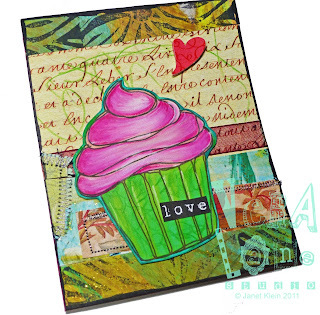 Lay cardstock flat to stamp, color, and collage. 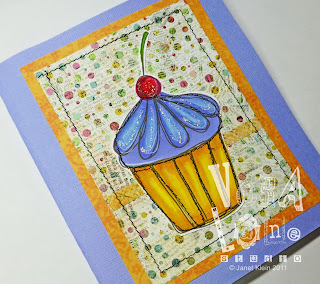 Measure 1" from the bottom edge and score from the back of the sheet. 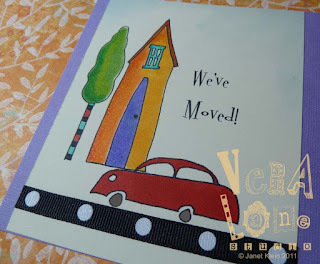 Fold up at score line and rub flat with a bone folder or scissor handle. Secure folder by attaching a button with a cord to keep your folder closed. Make sure the cord is long enough to wrap around the folder. 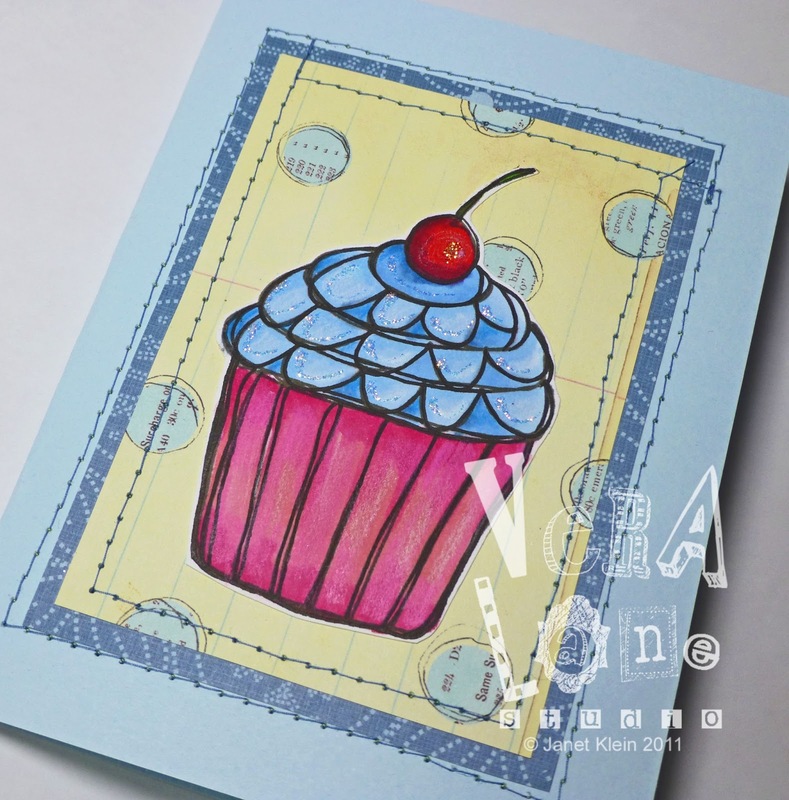 Create a matching envelope to tuck inside if desired. 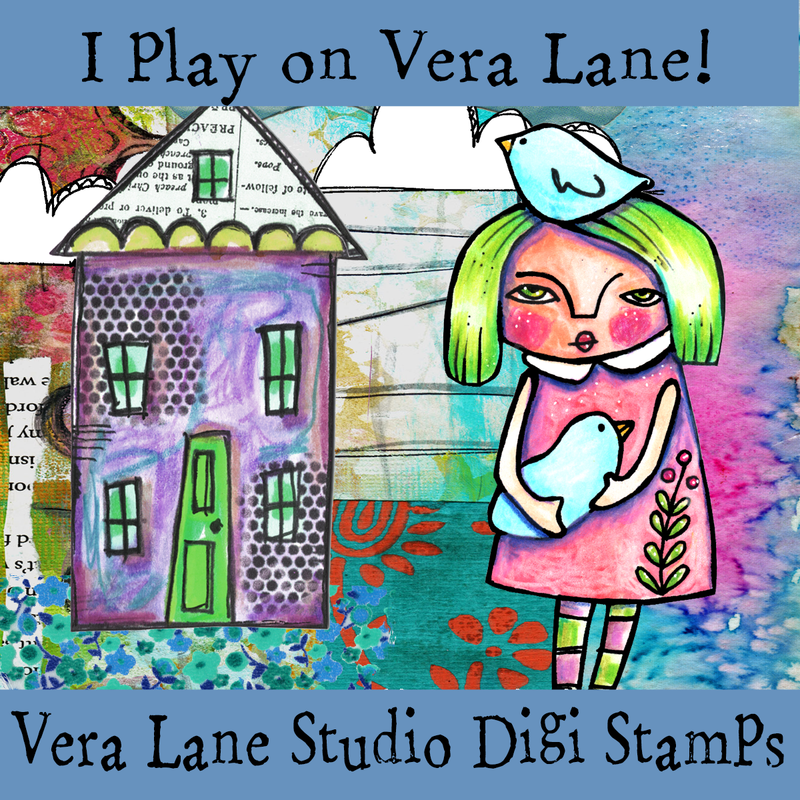 I'm pleased to announce that Vera Lane Studio Digi stamps are now available for instant download in my Etsy shop.